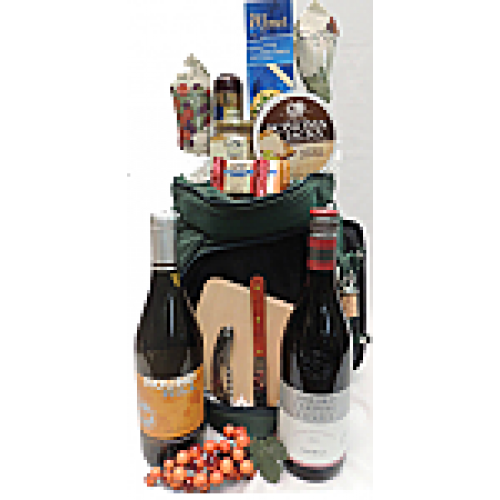 This stylish insulated cooler is equipped for two with glassware, napkins, cheeseboard with knife and corkscrew. Also included are bottles of domestic and imported red and white wines, cheese, crackers, sausage, Rothschilds honey mustard spread and candy. This sporty nylon bag travels well and carries all the essentials for a perfect day in the park or at the beach.